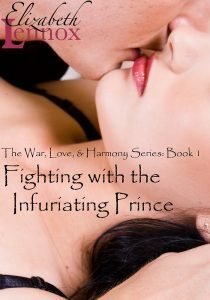 The first two stories tell the tales of two princes and their unplanned romances. Two weddings! Two love matches that weren’t supposed to be! Princess Ciara of Altair, previously engaged to Prince Tasir went on to marry Prince Zoran of Larcatia. While Prince Tasir of Lurasa weds Princess Jalayla of Tularia. Unfortunately, the weddings don’t result in peace. The two couples were able to experience only a short-lived interlude of calm before tensions escalated to the point that violence was inevitable. 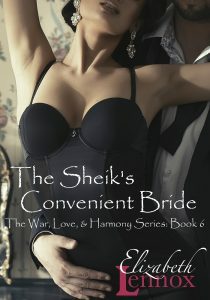 Even after the weddings and despite years of trying to calm the problems, the four countries break out into war. A ten year, brutal war that was never supposed to be. Sheik Zahir del Hassar Alzar of Larcatia brings the three other ruling sheiks to the Fortress of the Guards in secret. These four men – some recently risen to their power, others who have been rulers for a few years – all agree that it is time to stop the war caused by the tensions that were started when their parents or ancestors married years ago. The fighting has been going on too long and nothing has been gained. Borders remain as they were before the wars took place and the reasons for fighting don’t seem to apply any longer. The broken marriage contracts never should have resulted in war; peace must be restored for the benefit of all four countries. After long and challenging negotiations, the four rulers agree to cease hostilities and sign treaties so that the healing process can begin. They devise a strategy to help their people diffuse the rivalries and tensions that have developed. The four men agree that the best way to show their subjects that life should move on, without war, is to each marry and produce an heir. Royal weddings and the birth of a new generation will give the people a reason to hope.